Our democracy is here to stay. We might run into troubled waters from time to time, and even suffer major setbacks, but democracy in the country has struck deep roots and is indestructible. However, I am not saying that we must become complacent about it. What I am suggesting is that there is no reason to be alarmist either. To discern the strength of a democracy we must be aware of the tests that we use and we must not use the wrong tests. People of my generation most often see how much a democracy measures up to the Westminster model and they follow it too rigidly. Of course, when we adopted a democratic form of governance, the Westminster model seemed like a natural choice and most architects of modern India were committed to it. Nehru was committed to it and so was Ambedkar. The only exceptions were the communists who were eased out and also Gandhi, who was not comfortable with the model. In fact, Gandhi wanted the Congress party disbanded after independence. He wanted a communitarian democracy. I will come back to this point later. Edward Shils, the famous sociologist, said that the movement of knowledge is a disorderly movement. I would take that from Shils and say the same for democracy. Disorder is not necessarily anarchy. On the other hand, one should be apprehensive of the waters being becalmed. A defining feature of any democracy is that it allows and institutionalises opposition. Of course, the structure of opposition will not and need not be the same everywhere. Britain and America essentially articulate opposition through the two-party system. So the head of opposition will become the head of state someday and therefore is wary of rocking the boat too much. However, it is not so in India. We have a multiparty system, factions within parties, coalition politics and movements. My recent comments on the Westminster model were misunderstood. I am not attacking the Westminster parliamentary system of democracy. I said that Westminster model does not reflect the political reality of India because we have huge diversity even in terms of political parties, factions and movements. But that does not mean we have any less a democracy; we have evolved our own distinctive brand of one. The articulation of opposition is done through two registers in India: parties/coalitions and social movements. Gandhi was a believer of movements, and launched the civil disobedience movement. Social movements are not going to die down in India and they have been and are very much part of the social fabric. Another Indian innovation is the idea of ‘party-less democracy’. Gandhi, Jayaprakash Narayan and to an extent Arvind Kejriwal have shown sympathy for partyless democracy. 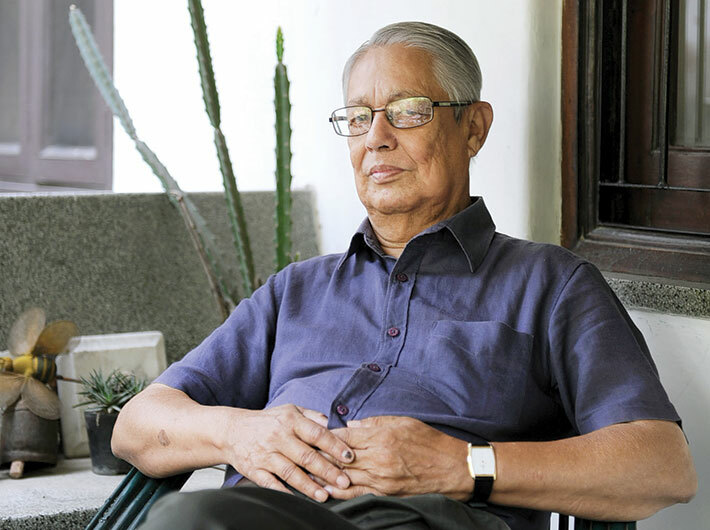 As JP’s disenchantment with political parties, including his own party, grew he turned to social movements for restoring the institutions of democracy. People usually speak of the ‘JP movement’ without invoking his name with any political party though he was associated with many political parties. In the absence of institutional mechanisms for the expression of dissent, it flows over in the form of movements of protests. The movements do create a sense of euphoria but disrupt civic life and people tire of what is called ‘the grammar of anarchy’. The party emerged as a political institution only in the 19th century. Britain was one of the first countries where the political party acquired its modern institutional form. Our first political party, the Indian National Congress, was established through the initiative of a British civil servant and it has a longer history than even the Labour Party. Gandhi was mistrustful of political parties. He thought that parties are necessarily divisive. I don’t subscribe to that view though. Gandhi wanted a communitarian democracy for India, exemplified by the village republics of the past which for him formed a harmonious unity. The same village units faced much scorn from Ambedkar as being dens of exploitation. I personally think that communitarian democracy will not work in India. We are a population of one billion-plus. There are urban centres and industrialisation. I am sceptical of whether a golden Ram Rajya ever existed but even if it did there is no going back there. Ambedkar had experienced villages in a way that Gandhi never had. Remember that Gandhi had a relatively privileged upbringing and was brought up in a town. He experienced villages after he had already become a Mahatma. Ambedkar had once said in the constituent assembly, “Democracy in India is only a top dressing on an Indian soil, which is essentially undemocratic.” It is a profound statement. I would say Ambedkar was the least utopian of all the makers of modern India. He did not mean that democracy was not suited to India; what he meant was that we must be acutely aware of the unprecedented challenges that await our political journey. Democracy has both a political and a social side. We are a profoundly hierarchical society. You and me might be very educated people but in the matters of our heart, we might still be very hierarchical. It is a constant struggle. The contrast between Bharat and India is a cliché. For centuries India has been a society of castes and communities rather than citizens. The creation of a citizenship cannot be a painless process. Democracy does find itself at odds with this kind of a strongly hierarchical society. So many things from the past have to go but they don’t go that easily. It is important to remember that there is not just Bharat and India, there are 500 different Indias but they are not necessarily polarised. Bharat and India might coexist, and sometimes closely. For instance, very liberal and highly conservative orientations to society and politics might exist in one and the same individual. My aim is to say that modern Indian society is not a homogenous cloth without any cracks and fissures. There are many cleavages in our society but they don’t run along the same lines. This means that there are not only cleavages – language, caste, religion, education etc. – but also cross-cutting ties. Divisions of caste and lineage are important but equally important are the divisions of factions, and many studies show that it is faction rather than caste that is the engine of local politics. Leaders of rival factions may belong to the same caste and even to the same lineage whereas their followers may come from more than one caste. In such cases personal loyalty becomes important. In India factions permeate most, if not all, domains of social life. Nowhere is party politics insulated from factional politics; but the strength of a party as an institution depends on that insulation. Political expediency might lead interested parties to focus on one cleavage and ignore others. But polarisation is at odds with the basic design of our society. So I do believe that centrist tendencies in India will prevail. It is the historical association that makes it difficult for forward-looking Indians to feel at ease with any party that professes Hindutva. When they give their support, they do so with an uneasy conscience saying that the misdeeds of the Congress have left them with very little choice. The uneasy conscience over parties with a religious and sectarian association is in contrast with what is considered acceptable in European countries like Germany, which have had less difficulty in accommodating parties with a ‘Christian’ label. The difference lies in the troubled history of the relationship between religion and nation building in India’s recent past. Manmohan Singh says that he hopes that history will judge him kindly and I think it will. I am not a scholar of economics but I understand that he has been quite adroit in the economic management of the country. He often used to say that one should not trample on the market too much; it is sensitive. He did see the necessity of state intervention in the market. It is all very easy for me to say that he should be ambidextrous but I think Manmohan did the balancing quite well which reveals not only fixity of purpose but also a very sharp intellect. Remember he has occupied almost all possible positions in the financial administration of the country. But nobody’s perfect. I see that Manmohan did have the necessity to defer to Sonia Gandhi and I can understand that. However, what he perhaps should not have done is to have batted for Rahul Gandhi so much. By doing so he legitimised dynastic politics. He should just have let the party decide who is to follow him. I believe Sonia Gandhi should have protected Manmohan much more. But she did not. I always joke that if Manmohan Singh had the voice of Amartya Sen, he would be a star. Manmohan is an incredibly hard working and sincere person. I will give you an instance. Amartya Sen, Jagdish Bhagwati, and Manmohan Singh were contemporaries at the Delhi School of Economics. Its economics department was the star department and they did not pay much attention to the sociology department, where I taught. One day Manmohan walked into the staff room and asked me what I was working on. In the course of the conversation, he asked me if he could read something that I had published and I gave him The Future of the Backward Classes. I thought he would never read it but a week later he not only had read it but also came back to me for a lengthy discussion. It was very unusual for an economist to take such sincere interest in social issues. Though Amartya and Bhagwati were friends, they did not have any interest in my work then. Manmohan is now a tired man. He is 82. The opposition and his own party have taken a lot out of him. I do believe that in a healthy democracy, a single party should not have such a long stint. We do need a change. Our democracy has acquired sufficient steam for anybody to come and turn it upside down. Modi is a very shrewd man. It is one thing to create disorder when you are in the opposition and quite another thing when you have to run the show. I am more wary of the cadets of BJP than of Modi. However, they are soon going to realise that running the country is not the same thing as running a state and a relatively prosperous state at that. The 56-inch rhetoric is hollow. Precisely because of this Rabindranath Tagore was sceptical of nationalism as an ideology because it was always in danger of turning violent. We do not need a muscular democracy; we need a compassionate democracy. Prof Béteille spoke with Shreerupa Mitra-Jha.